One of Austria’s most active labels in the selected disciplines of musical diaspora is certainly Editions Mego. Known for being synonymous with the finest experimental electronics, noise, post-industrial and improvisation, Peter Rehberg’s Vienna-based label has set an impressive pace in terms of releases and isn’t slowing down any time soon. Label boss Peter Rehberg, aka Pita, is a busy man. Ever since the relaunch of the original Mego label in 2006, the number of Editions Mego’s releases already resembles the abundance of the original label’s releases during its previous 11 years of existence. The label Mego (the name stands for “My Eyes Glaze Over” and originates from the futurist Herman Kahn) was initially founded in 1994 by Ramon Bauer, Andreas Pieper and Peter Meininger, before Meininger was replaced in 1995 by Peter Rehberg. Influenced by the international rave and techno scene of the 90s, the label stood for innovative and multi-faceted sound experiments from the very beginning. 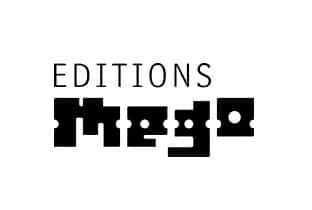 In December 2005 the company was shut down, but immediately reestablished as Editions Mego by Peter Rehberg in January 2006, with the aim to maintain the back catalog of the previous label, as well as to bring new releases to obliged music connosseurs. Peter Rehberg himself is not an unknown figure in the realms of the music sector. Known as Pita, he is one of the most representative artists of the Viennese electronic music scene and one of the most innovative experimental European musicians of recent years. As a pioneer in the field of dissonant digital music and noise, he always explores new aesthetics and experiments with different styles including glitch, noise and minimal electronics.Originally from London, Peter Rehberg became a major figure in the birth of glitch with the album “Seven Tons For Free” (1996). In 1999 he released a concert for pulse signals, titled “Get Out”, which was the first of the trilogy “Get Down” (1999) and “Get Off” (2005). Rehberg has won international acclaim and won the Prix Ars Electronica award for Digital Music at Ars Electronica in 1999. Over the years he has collaborated with many renowned artists, including Jim O’Rourke, Christian Fennesz, Tina Frank, Tujiko Noriko, Kevin Drumm, Stephen O’Malley, Matmos, Marcus Schmickler, Michaela Schwentner, Russell Haswell, Florian Hecker, Carlos Giffoni, Gert-Jan Prins, Mika Vainio, Zbigniew Karkowski, Z’EV, Rosy Parlane, Keith Rowe, Dennis Cooper, Gisele Vienne and Sunn O))). Besides his numerous projects and his work as a label boss, he also acts as a member of the industrial noise formation Peterlicker. One of the next highly anticipated releases is the announced 12-inch single “Fa 2012” from the Austrian sound artist Christian Fennesz that re-envisions “Fa” from his 1997 debut Hotel Paral.lel. Following a ten-year leave from the label, the new release will explore alternate means of hearing club-based music and will carry the concept of his first release even further.